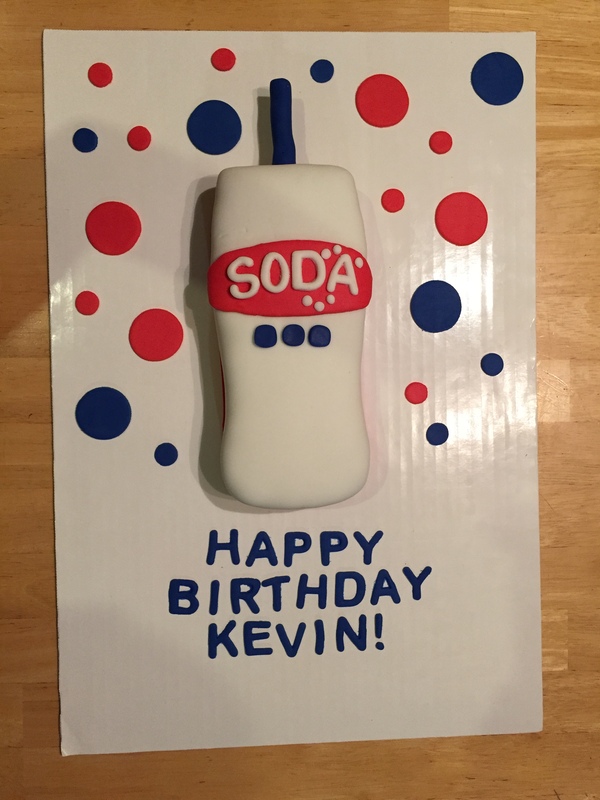 A few weeks ago we made this Sodalicious Cup Birthday Cake for our friend Kevin who is one of the owners of Sodalicious (not familiar with Sodalicious, you can check it out here, my daughter Courtney is the manager of one of their shops) but what with working and vacation, I’ve just been too busy to post it. We used my Soda Bottle Cake pan and just cut the top of it off to make a soda cup instead. It’s chocolate cake with buttercream icing and then Wilton brand fondant from Michaels. It turned out pretty cute. Happy late Birthday again to Kevin!